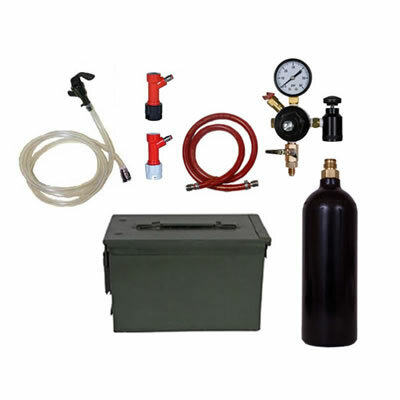 This Homebrew Kegging Kit with 20oz CO2 Tank includes everything you will need to star pouring yourself some draft home brewed beer, and is all packed in an awesome American Made Military 50-Cal Ammo Can for easy portability! All you need is the refrigerator to put the keg in, or an ice bucket... and a keg of course and you are ready to pour draft beer! This kit comes fully assembled and ready to use! CO2 tank is shipped empty. 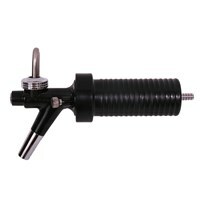 20oz CO2 tanks can be filled at any local paintball supply shop! Very easy to find! A great kit at a great value for a first time kegger! Also a great kit for traveling with/taking to parties because it is small, compact and comes in this great carrying case!